Priscilla Williams, a housing specialist at Casa Myrna, went from a homeless shelter to YMCA job training to $36,000 a year job. Governor Charlie Baker on Monday announced $5 million in job training initiatives for people who face chronically high levels of unemployment, the latest effort by the administration to help lower skilled workers struggling to find good jobs, despite the strong Massachusetts economy. The state’s jobless rate is 4.7 percent, one of the lowest levels in years, but certain groups, including African Americans, Hispanics, people with disabilities, and recently returned veterans, face rates of 7 to 12 percent. Often, these workers’ skills don’t match those sought by employers, Baker said at a press conference Monday. The funding is intended to help bridge that gap. While he was campaigning for governor, Baker said, he met people in tears over their inability to find a job, or to find a job that paid enough to support their families. At the same time, he added, he heard from employers scrambling to find workers. On Friday, the state announced $83.5 million in funding for vocational education, including grants for equipment to train students in precision manufacturing, automotive repair, and other well-paid trades. Another initiative to help the long-term unemployed — defined by the state as those out of work for more than year — is expected soon. Nearly 170,000 Massachusetts residents remain unemployed, according to the latest statistics. There has been relatively little research on the effectiveness of job training, but a study on local programs to be released Tuesday found increased wages and employment rates for the majority of participants. The study, commissioned by the Boston-based Job Training Alliance, a network of local nonprofits, found that 76 percent of the 538 people who completed training for hotel, nursing home, and other jobs during a one-year period found new jobs or improved their wages. Job training also provided public benefits, the study found. The graduates paid more than six times the state and federal taxes they had paid before they completed training, and reduced the amount of food stamp and family assistance public benefits they received by 67 percent. Job-training programs have been criticized by those on both the left and right who question whether the cost to train each person — roughly $6,000 to $8,000 locally — is worth it. Job Training Alliance members concede their study is not definitive, but hope it will spur more research and “break this urban myth, if you will, that job training just doesn’t produce,” said Anne Meyerson, who oversees education and training for the YMCA of Greater Boston. 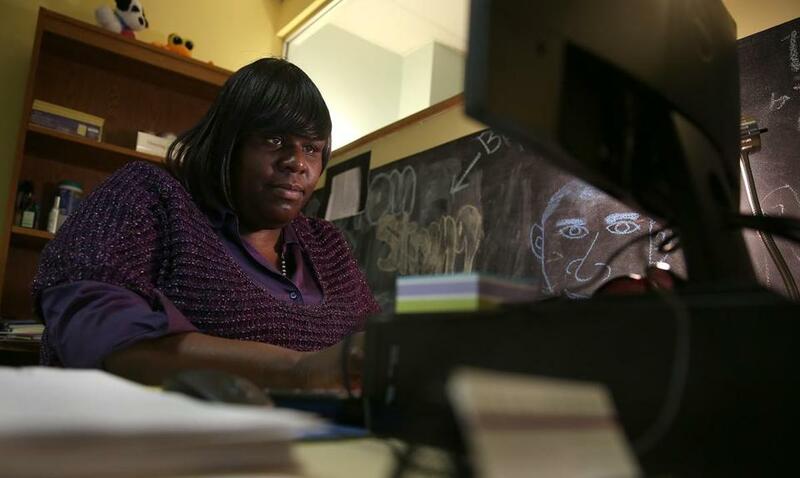 It worked for Priscilla Williams, who got pregnant at the age of 18, dropped out of college, and worked a series of low-wage jobs, winding up in a homeless shelter when she couldn’t afford to pay rent. After enrolling in the YMCA’s administrative skills training program, she landed an internship that turned into a job, and then another. Today, she makes more than $36,000 a year by helping victims of domestic violence find housing and no longer relies on food stamps or state-funded health insurance. Will Liu, 22, recently completed a course through the Asian American Civic Association and went from a part-time Dunkin’ Donuts employee to a full-time teller, with benefits, at Santander Bank. Focusing on the unemployed, particularly those with lower skill sets, is often an issue pushed more by Democrats, local job training specialists said, but Baker, a Republican, has shown it’s a bipartisan issue. “You’re really talking about opportunity, and it’s opportunity both for individuals and for employers,” said Jerry Rubin, director of the Jewish Vocational Service and a member of the task force that recommended the job training investments. The job-training funds proposed for the fiscal year 2017, which begins July 1, include $1 million to expand employment programs for people getting out of prison and $4 million for the Workforce Competitiveness Trust Fund, which awards grants to community organizations that partner with employers to provide job training for the unemployed. The fund, created in 2006, received sporadic funding from the Legislature during the Patrick administration but has been funded for two consecutive years under Baker. The Baker administration’s pro-business focus is paying off for workers in need of training, said Don Gillis, executive director of the Massachusetts Workforce Board Association, the trade association representing the state’s workforce boards.